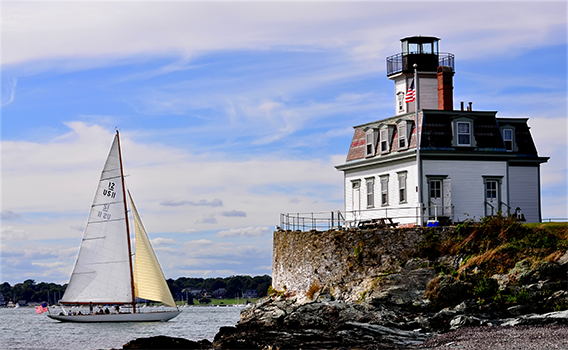 Cruise by the Newport Bridge, Rose Island Lighthouse, Fort Adams, and The Mansions experiencing spectacular panoramas of the bay and the fresh sea breezes. Experience the City-by-the-Sea’s most amazing and enjoyable cruise throughout the spring, summer, and fall. (50% deposit and signed contract required to confirm booking). The Amazing Grace Harbor Tours show off Newport, RI at its picture-perfect best. Our one-hour scenic cruise offers spectacular views of the Lighthouses, America’s Cup Yachts, Grand Estates, Newport Mansions & much more. The city-by-the-sea’s most amazing and enjoyable cruise of Rhode Island’s historic Newport harbor & Narragansett Bay.